March | 2011 | Small Farmers. Big Change. 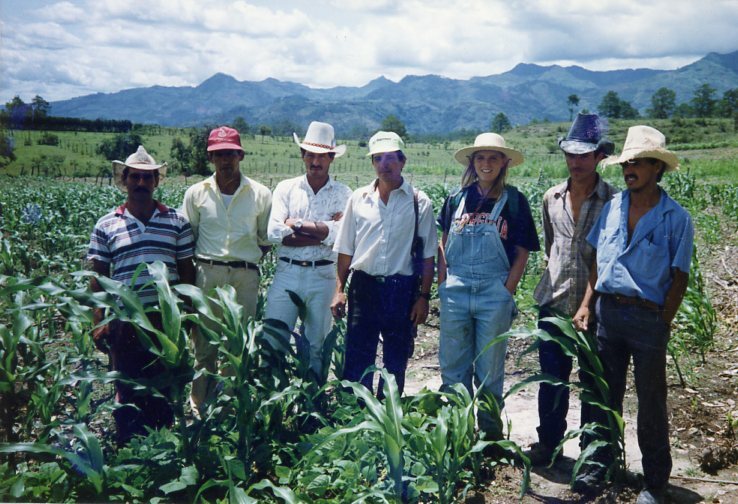 Twenty years ago I lived in Honduras with the Peace Corps in Santiago de Puringla working with hillside farmers to find campesino leaders to help in soil conservation. These farmers had tiny plots of land they nurtured to grow enough food to survive and earned a little cash from growing coffee for export. The people I worked with had hope in the land, themselves, and for a reason I still don’t know but for which I am grateful, even in me. The farmers and I walked for two hours from the mountains where they lived up to even higher mountains where they had their farms. We experimented with the bean that had on other farms improved soil fertility and preserved the soil—the velvet bean. We carved A-frames leveled out of long branches to create a natural barrier so that the coffee, corn and beans went across the hillside, keeping more soil on the land than if they went straight down the hillside. These farmers with five kids in one bedroom trusted this unknown, suburban white girl and we met and talked in my one room rental, Dona Fidelina’s home. We talked about what we had seen on field trips– the thick, verdant corn and dark soil from the model plots at Don Elias Sanchez’ farm; we remembered the farmers from La Esperanza who, with the zeal of evangelists, told their stories of soil conservation. We talked about having a new group and experimenting on our plots and what we wanted to be called. They chose Amigos Todos Unidos Siempre (Friends United Together Forever). One farmer who stood out was Don Beto. He was a leader in the loosely organized group we formed to help us in the harsh world of coffee trading. He brought me to his farm to show me and others his soil growing in organic matter after growing the new beans. As a result, his corn had increased its yields. But for their cash crop, coffee, the farmers had one option for selling—to the middlemen at dirt cheap prices. I left Honduras determined to do something at home to help. When I returned, I worked on an organic farm in upstate NY. Later, I organized first-time home buyers in Hartford, CT. But I was pulled back to the land, and to doing something about the situation of Don Beto and the other farmers in Honduras, so I went to the Tufts School of Nutrition in the Agriculture, Food and Environment Masters Program. And for the past 15 years I have worked at Equal Exchange—a Fair Trade importer of organic coffee and other products from small-scale farmer cooperatives. Each day at work I’ve known that farmers who grow our coffee are working hard. And I’ve never forgotten that children like my 3-year-old neighbor Transito, the youngest and only boy in a family of six children, who shared my birthdate in Honduran mountains–I learned in a letter–died from malnutrition soon after I left. Today I learned something that has my heart aflutter! For the first time Equal Exchange is buying from the Honduran co-operative, COMSA in Marcala, with members in it from that remote mountain town, Santiago de Puringla. I took a peek on the very 21st century thing—a database of the remote coffee farmer co-op members. In the cooperative I ran through the list of names. I scrolled down and saw familiar appellidos, last names. Finally, I see names from our group — Don Beto Osorio. It’s been 20 years since I was in Honduras. Don Beto is alive! Don Beto is still farming? Yes, Don Beto grows coffee, and Don Beto sells his coffee to me and Equal Exchange! This is a gift better than anything I could ask for from Peace Corps, from Equal Exchange, from all those who buy Equal Exchange. Thank you all! Many people in the SRI (Socially Responsible Investing) world are familiar with the pioneering work that Equal Exchange has done to bring Fair Trade coffee, chocolate, tea, bananas and other products to the United States. We take great pride in the fact that our success has challenged those who thought there was nothing one could do to address the systemic inequities of global trade. However, we’re about more than just changing the way people buy and sell what goes in their shopping basket. For 25 years Equal Exchange has been turning a host of conventional business models and practices on their heads. Pay farmers above market prices. Increase your suppliers’ market power by providing affordable credit and helping them form co-operatives. Spend time and resources to educate consumers. Encourage them to care about farmers and families they’ll never meet. Make sure there is no exit strategy. Entrust complete control and ownership of the company to the people who work there. Share your knowledge and business model with competitors and even encourage them to enter your category and compete for your customers. Don’t dodge your taxes. And it’s been working pretty well: over $40 million in annual sales, growing product lines, and fanatically loyal customers and partners. But there have been countless social enterprises that make a splash, take off, and then…cash out. To get the capital to go big, you need to open up to outside investors, or sell the company to a global conglomerate that’s looking for a socially responsible branding opportunity, or maybe just reward the visionary entrepreneurs and early investors who got the venture off the ground. That’s the story with Burt’s Bees, Ben & Jerry’s, Tom’s of Maine, The Body Shop, Green & Black, Stonyfield Farm, Dagoba, and countless others. That’s how the system works, right? In the SRI world, we’re told that the job of the entrepreneur and investors is to turn an exciting, idealistic vision into reality. Hopefully, you won’t have to compromise your initial social vision when you’re faced with the harsh realities of the marketplace. And when you do relinquish the reins to outside investors or the new corporate owner, you just have to have faith that they’re still in it for the right reasons, and will do the right thing no matter what signals they get from Wall Street. We’re trying to show that there is a different way to raise capital, and that you don’t have to put your social mission at risk. We hope it will inspire others in this still evolving field of social entrepreneurship. Due to a multitude of factors, most beyond our control, coffee prices are going up. Again. 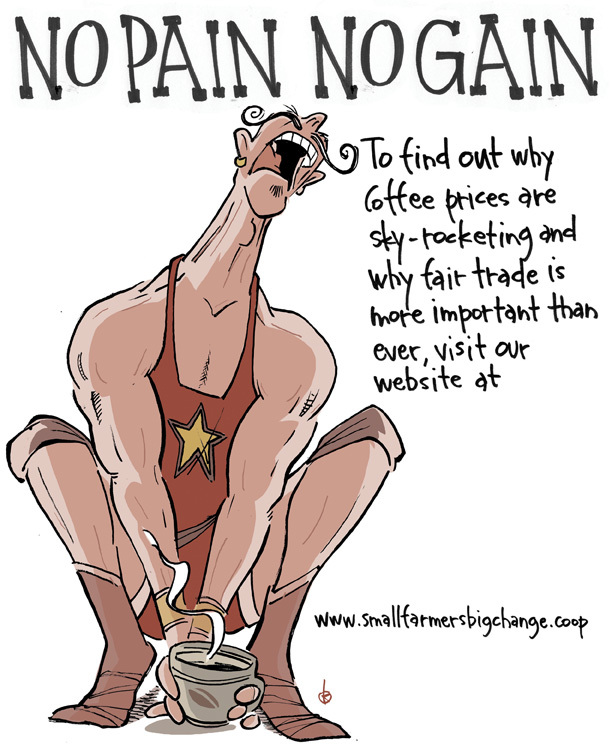 Starting April 1, 2011, Equal Exchange is increasing the cost of all coffees sold to retail stores by $.50 a pound. Please trust that this has been a very difficult decision on our part; and that we are doing everything we can to offer you the highest quality coffee at the best prices possible. At the heart of the matter is decreasing supply, increasing demand and commodity speculation. On the supply side, climate change is wreaking havoc on weather patterns across the world (we’ve had quite an interesting winter ourselves). Coffee plants rely on periods of rain followed by sunny dry spells in order to flower, produce cherries and ripen. Without these regular “seasons”, harvests around the globe are down. At the same time, demand for specialty coffee continues to rise, not only in the traditional consuming countries like the United States, but increasingly in producer countries as well. The situation is further complicated by speculation in the commodity market. Traders are buying up supply and coffee contracts, assuming that prices will continue to increase. This becomes a self-fulfilling prophesy, as less supply and contracts are available. Like many other commodities (oil, sugar, cacao, for example), coffee is at a 14-year high. Why is Fair Trade more important than ever? It’s true that coffee farmers are benefiting from higher prices. While we spend much of our time- likely too much- talking about the benefits of higher prices, much of the success and value of the Fair Trade movement is in the “infrastructure” we have built: primarily farmer co-operatives. 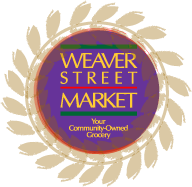 These organizations serve to protect the farmers when prices are down; and grant farmers direct access to markets when they would otherwise be forced to rely on brokers and middlemen who have historically exploited farmers’ isolation and lack of access to markets. When the commodity market is high, small farmers can be tempted to sell to middlemen for immediate cash, rather than wait to receive a higher price through their co-op at a later date. The cumulative effect of many individual farmers making this decision is that coffee starts to “leak” outside the co-operative fair trade system. 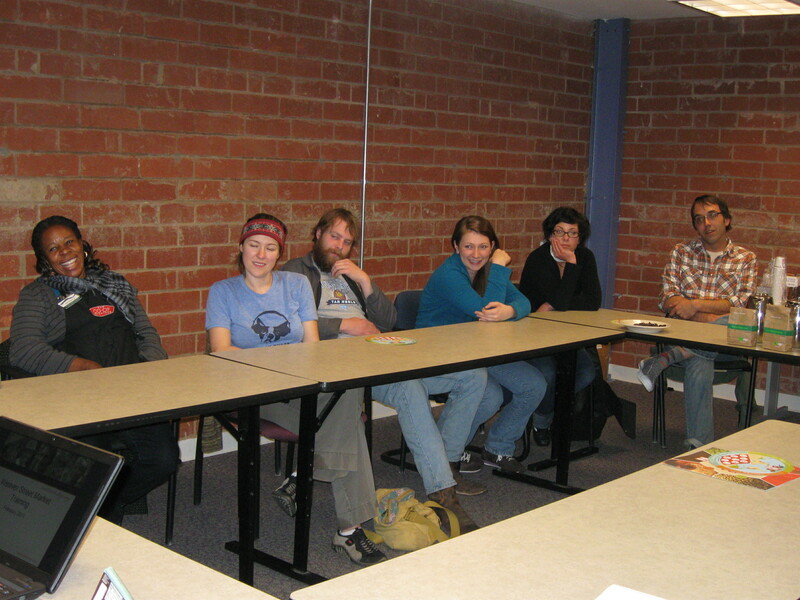 Farmer co-operatives lose members and supply, and have a hard time meeting their obligations to partners like Equal Exchange. In the past, middlemen have offered artificially high prices to farmers in order to “break” the co-ops (like busting a union) leaving the farmers in a much weaker position in the future- a “divide and conquer” approach. We see our role, in this tumultuous period, to do everything we can to support producer co-ops and maintain the cooperative supply chains that are the heart of Fair Trade and real economic change for small-scale farmers. We are scrambling to get co-ops and farmers the best prices we can; so they can compete with local coyotes today and continue to develop and expand sustainable coffee production in the long-term. In order to do this, Equal Exchange is taking every opportunity to be more frugal and efficient and cut back our own expenses. We are asking retailers and consumers to share some of these costs as well. Through this price increase, we can continue investing in the movement we have all built together, reinforcing the structures of empowerment and change, and continue to offer you the highest-quality coffee available.